With each passing year, I find myself completing more and more online purchases due to a combination of a busier schedule with better online pricing (even after tax and shipping). What I like best about shopping at FatWallet is that participation has nothing to do with the online merchant's checkout process. 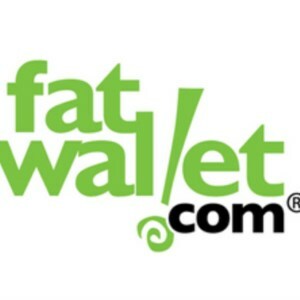 The only requirement is to login to FatWallet and click to the online merchant's link. Any coupon codes, gift cards, or amazing deal can still be applied during checkout. The percentage you gain from your purchase can vary between (2 - 17%), depending on the online merchant. Granted a majority of the merchants only offer a 1-3%, it beats by over 100% the cash back offered by many credit cards that offer 1%. In fact, cash back from FatWallet will stack with credit card cash back. An example of where of a recent purchase is a 60 inch LED TV from Sears, who offers 3% back! Only a $800 TV, I made approximately $25 cash back, plus the 1% I will get from my credit card from that one transaction. If you don't already have an account, create one at FatWallet.com. You need an account to apply cash back credits. Login to FatWallet so the site knows you are logged in and can properly apply cash back credit. Once you have logged into FatWallet, navigate to the online merchant, listed under Stores. Depending on the online merchant, your order will be reported back as Pending with a cash back amount. After an extended period of time (dependent of on the merchant, but usually around 30 days), your cash back will be approved. This duration is to confirm you did not return the product. Once your approved cash back reaches the minimum payout of $10 cash back, they issue you a check (no fee for the check). How Can FatWallet Pay Me To Shop? Is it a Scam? FatWallet can pay you to shop because online merchants offer a commission to other websites on the internet. Similar to a commissioned salesman, websites can make a percentage of any sales. FatWallet in return gives the shopper a cut any profits. FatWallet, in that sense, is a salesperson, who is cutting you in on the commission. So FatWallet isn't a scam.